New to Downtown Las Vegas? You’ll quickly come to appreciate the cultural opportunities available to you in the area – and the First Friday of each month is a great place to start. Downtown Las Vegas (DTLV) is growing – and we’re not just talking about new casinos or restaurants to enjoy. Rather, DTLV is developing its own unique vibe and style, and these days it is assuming a brand identity that is continually ascending the rungs of the cultural and artistic ladder. 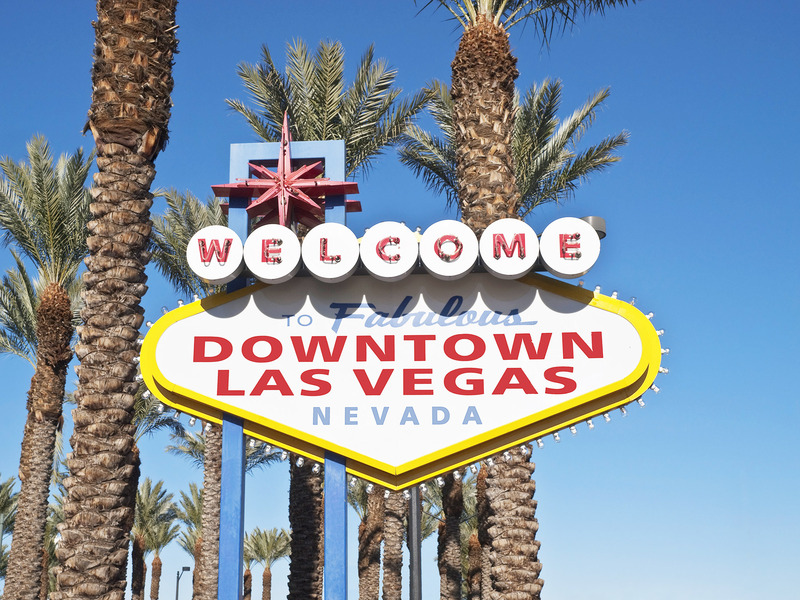 Culturally engaged and artistically-minded individuals are flocking to the area, and the creative spirit of local artistry, music, and performance has transformed the area from what was once a dusty branch of the Las Vegas Strip into a critical cultural scene hosting Las Vegas art and more for both residents and visitors alike. 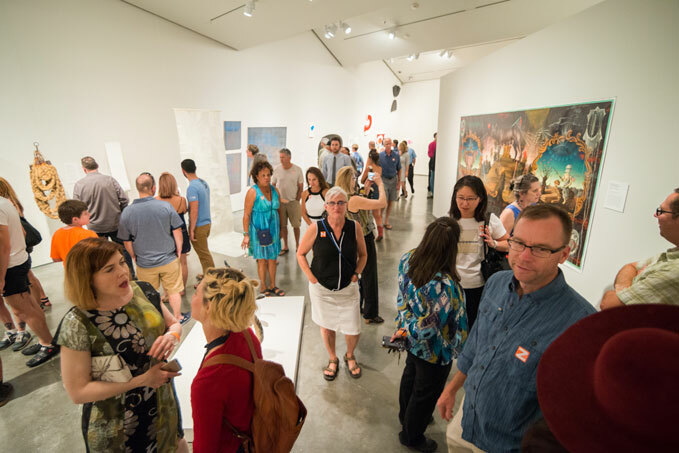 To organize and lend additional support for the arts and culture scene in DTLV, the First Friday Foundation was created and is sponsored by dozens of businesses and organizations – some local, some national in scope. Companies like Verizon, 7Up, Don Julio, and Wynn Casinos contribute time and resources to help keep First Friday an integral part of the DTLV scene. So, what is First Friday and why exactly is it called First Friday? The answer is… wait for it, because it is held on the First Friday of every month, and entails a series of events on that day that draw in big crowds to the downtown area known as the 18b Arts District. The First Friday Art Walk begins at 1025 First Street and winds through the Art District for an interactive experience full of art, music, food, and fun. The best part? It’s free. Stop by the Sin City Gallery, which was founded in 2011 and rated as one of the 25 best galleries in America. Or head over to City of the World Gallery, a non-profit gallery and arts education center in DTLV’s Arts District. At any given time, the work of more than 30 local artists is on display and classes are available, too. Looking for a bit of the obscure this First Friday? Consider Las Vegas Oddities and Antiquities. Here you’ll find rare collectibles, diamonds, gems, fossils, meteorites, taxidermy, skulls, Native American art, and memorabilia. Clay Arts Vegas is another cool destination to consider and celebrates clay and 3-dimensional art. It is also a popular meeting spot for artists living and working in the Las Vegas Valley. Finally, Dray Studio & Gallery is a cultural requisite for anyone visiting art galleries on First Friday. The artist Dray was a member of the advisory board for First Friday, and has become an instrumental part of keeping interest in the arts alive in the DTLV area. Listening to live music is certainly a cultural experience in itself. Add in thousands of excitable fans and you’ve got a recipe for some seriously addictive people watching. 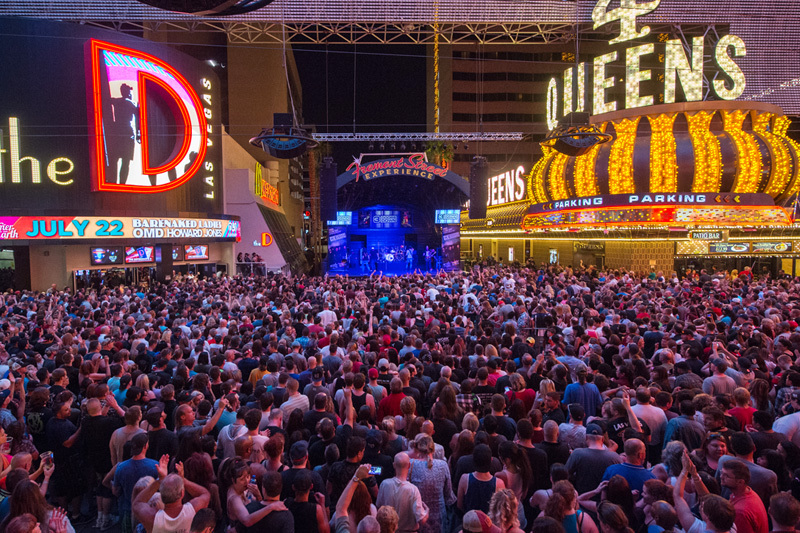 This year, live music comes to Fremont Street on the First Friday of every month, as well as on a host of other days. The Free Summer Concert Series on Fremont Street will be starting soon in DTLV. Performers such as Chevelle, Collective Soul, Fuel, Rick Springfield, and Seether deliver high-amperage tunes in a vibrant setting underneath the Fremont Street Experience canopy. While not all of these land on First Friday, you can expect live music and a diverse cross section of performers on the First Friday of each month. * You’ll need an ID to get in to the Fremont Street Experience after 10pm. Once you make your way into Fremont Street, you’ll be given a wristband that allows you to come and go as you please. * Expect a pretty thorough security screening when you come and go, which is pretty standard when you’re gathering thousands of people in one spot. 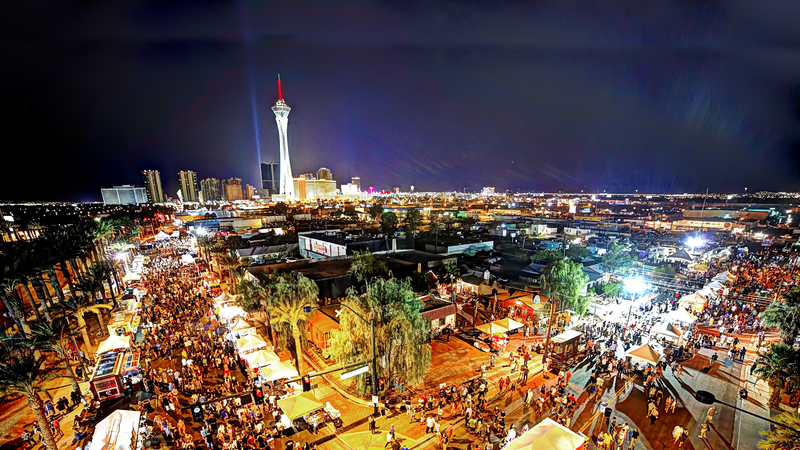 First Friday is an incredibly fun time, and it represents all that DTLV has to offer – real artistry, incredible cultural opportunities, and a raucous good time for those looking to let loose. Here’s the easy part – all you have to do is show up on the first Friday of each month and you’ll have done all the planning you need to enjoy the festivities. We hope to see you there!